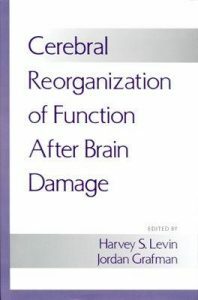 Cerebral Reorganization of Function After Brain Damage integrates basic research on neuroplasticity and clinical research on reorganization of function after brain injury, with a view toward translating the findings to rehabilitation. Historical foundations of research on neuroplasticity are presented to provide a perspective on recent findings. Leading investigators synthesize their work with results from other laboratories to provide a current update on neuroanatomic features that enhance neuroplasticity and provide a substrate for reorganization of function. The capacity for recovery from brain injury associated with focal lesions as compared to diffuse cerebral insult is discussed. Interventions such as environmental enrichment and drugs to enhance reorganization of function after brain injury have been studied in animal models and in human studies. Methodologies to study neuroplasticity are discussed including functional magnetic resonance imaging, neurophysiological measures, transcranial magnetic stimulation, and computational modeling. Implications of neuroplasticity research for innovations in rehabilitation of persons with brain injury are critically reviewed. This text will be particularly appealing to neuropsychologists, neurologists, psychologists, neuroscientists, psychiatrists, speech scientists, and other health professionals engaged in rehabilitation-related research. Download: I’ll Carry the Fork!